Mike Judge reveals that the studio originally wanted Matt Damon and Ben Affleck to star in Office Space. It's hard to think of anybody else playing the role of Peter better than Ron Livingston. The actor nailed the part, but Damon originally wanted the role and even sat down with Judge for a meeting. Under pressure from the studio, Judge and the rest of the crew were initially looking for some big actors to fill up the comedy, which is something that Judge was not comfortable with. 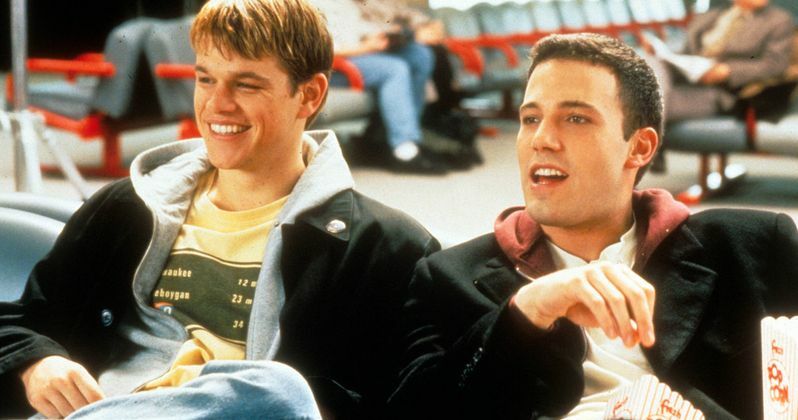 When Office Space was green lit by the studio, they wanted Mike Judge to cast Matt Damon and Ben Affleck. However, the writer/director did not want the role of Peter going to someone with "star energy." Casting director Nancy Klopper noted that this was "post-Good Will Hunting. They weren't exactly unknown," when talking about Affleck and Damon. Judge relented and went to New York to meet with Damon, who read and loved the original Office Space script, but he didn't know that Judge had already found his Peter. Ron Livingston came out to audition for the Peter role while Mike Judge was in New York to meet with Matt Damon and he nailed it. Livingston wasn't a well-known actor at the time and had just come off of Swingers, so he had a bit of a buzz surrounding him. When Judge saw the Office Space audition, he knew that Livingston was the one. He explains. "I asked the hotel for a VHS player. I called Nancy immediately. I could make this movie today with Ron. I met with Matt Damon, who was really nice and liked the script. But I'd found Peter." Since Mike Judge wasn't going for a big name for Peter, the studio was pressuring him to find a big actress for the Joanna role, which is how Jennifer Aniston got involved. At that time, Aniston was starring on the hit show Friends and admits that she wasn't really getting good comedy scripts like Office Space, which she immediately found alluring. Ron Livingston jokes that the actress probably took the part because she was under the impression that Matt Damon was going to be starring. In addition to Matt Damon and Ben Affleck, Office Space almost starred Owen Wilson and Vince Vaughn, who both auditioned for Peter's neighbor, Lawrence. Diedrich Bader later got the role and the rest is history. Kate Hudson read for the role of Joanna. Though the studio was against nearly all of the decisions that Mike Judge made, he was later proven to be right, but not at the box office. The movie tanked in theaters, but soon became a cult comedy when it was released on DVD. Now, it's hard to imagine a world without Judge's hyper-realistic and exaggerated take on office culture. You can read more about the 20th anniversary of Office Space over at Entertainment Weekly.